Join us to make walking and bicycling practical, convenient, and safe transportation and recreation options for all citizens and visitors of Berks County, Pennsylvania. Pennsylvania is the only state in the nation that does not allow local police departments to use radar for the purpose of speed enforcement. In 2009 Pennsylvania suffered 32,669 speed-related car crashes, 538 of them fatal. According to the PennDOT Crash Facts & Statistics Report, these crash and fatality rates are higher than PAʼs rates of alcohol, careless, and distracted driver accidents combined. HB 1041 and SB 526, both introduced this session, are similar bills that would allow accredited local police departments to use radar in speed enforcement. 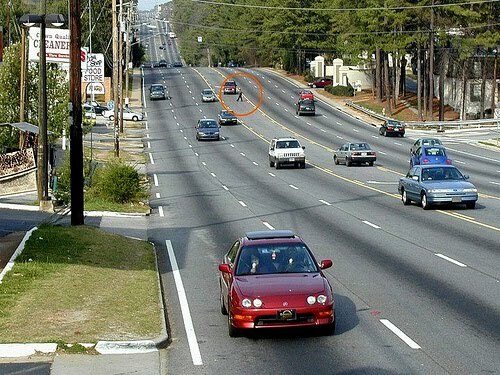 Every year hundreds of motorists are killed in speeding-related accidents. Radar is a proven, effective law enforcement tool to stop drivers jeopardizing othersʼ safety by disobeying speed limits. By keeping these tools out of the hands of local police departments, law enforcement offices are limited in the tools that they have available to promote safe streets. HB 1041 and SB 526 will make our communities safer by empowering local police departments to use a tool the Pennsylvania State Police have been using effectively since 1961. These bills will improve the safety of pedestrians, bicyclists, motorists, and all others interacting with roadways patrolled by local police enforcement agencies. EMAIL YOUR STATE LEGISLATOR NOW: CLICK HERE. Americans are dying on our roads every day – and our poorly designed roads are to blame. We can’t let Congress cut the already meager funding for pedestrian and bike safety. Tell your lawmakers not to risk lives. Protect and increase bike & pedestrian funding. If a jumbo jet went down every month, Congress would pass laws left and right. If a consumer product injured someone every seven minutes, the feds would shut down production. Well, that’s exactly how many Americans are being killed and injured in the act of walking pedestrian-unfriendly streets, according to our report, out today. But in the case of pedestrian safety, our federal tax dollars actually go to build streets that are designed to be perilous to children, the elderly and everyone else. And yet, right now, some in Congress are trying to kill funding for projects to make it safer to walk and bicycle! Join us - ask your representative and senators in Washington to show us that they take pedestrian and bike fatalities seriously. Our Dangerous by Design research found that more than 47,700 Americans were struck and killed while walking and another 688,000 were injured from 2000 to 2009. 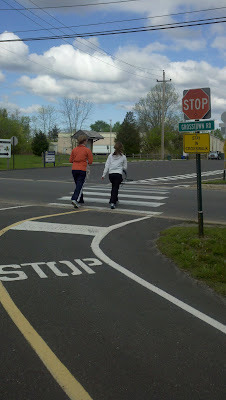 The highways-only lobby insists that pedestrian safety is a “frill” and a local responsibility. But 67 percent of these fatalities over the last 10 years occurred on federal-aid roads — roads eligible to receive federal funding or with federal guidelines or oversight for their design. That’s right: Federal programs have encouraged state departments of transportation to prioritize speeding traffic over the safety of people in our neighborhoods and shopping districts. The irony is that fixing these conditions is relatively cheap: Existing funds for that purpose – now targeted for elimination -- amount to less than 1.5 percent of the current federal transportation outlay. A policy of giving federal support only to “complete streets” that are designed for the safety of people on foot or bicycle as well as in cars would cost next to nothing. 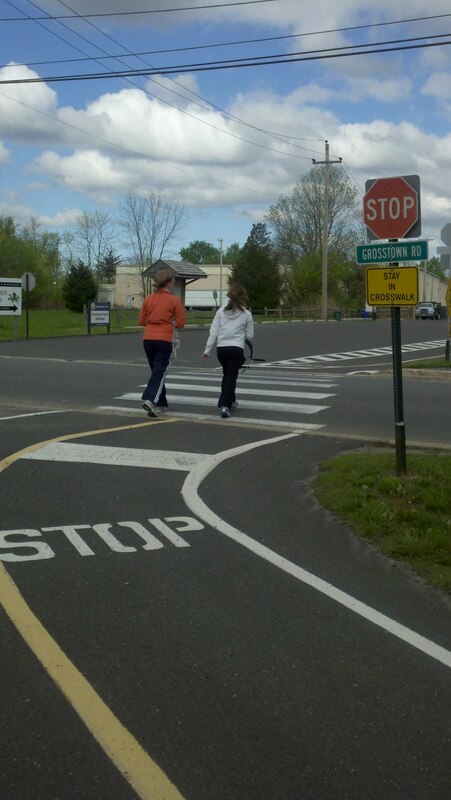 Tell Congress: it's no time to start cutting funding that helps keep pedestrians safe. Thank you for helping fix our transportation system to make it safe, reliable, and accessible for everyone! On May 18, 2008, Jacy Good and her parents attended her graduation ceremony at Muhlenberg College in Allentown, Pennsylvania. On the way home, a young driver talking on his cell phone ran a red light, causing a tractor-trailer to swerve and crash into the Goods' vehicle. Jacy was critically injured, and both of her parents, Jean and Jay Good, were killed instantly. Jacy spent four months in the hospital and still spends much of her time in physical and occupational therapy. In 2010, Jacy joined the board of FocusDriven, the first national nonprofit organization devoted specifically to raising awareness about the dangers of texting and cell phone use while driving. For more information, please visit www.distraction.gov. To share your story, upload a video to YouTube and email the link to faces@distraction.gov. "In the last 15 years, more than 76,000 Americans have been killed while crossing or walking along a street in their community. More than 43,000 Americans - including 3,906 children under 16 - have been killed this decade alone. This is the equivalent of a jumbo jet going down roughly every month, yet it receives nothing like the kind of attention that would surely follow such a disaster." The report's central point, a critical one, is that this tragedy is not recurring merely because of accident: many of these deaths are preventable. A huge portion occurs along streets and roads that have been engineered exclusively or primarily for fast, efficient car travel, with little or no provision for people on foot, in wheelchairs or on a bicycle. The roads frequently do a poor job of accommodating public transit as well; many pedestrian injuries and deaths occur near bus stops. Transportation for America (T4America) stresses that these facts are occurring with little attention other than hand-wringing in many jurisdictions precisely at a moment in our history when walking, bicycling, and taking transit are becoming more important. The public health community now recognizes that "active transportation" helps promote fitness and reduce obesity and related disease; environmental professionals know that we must reduce automobile dependence in order to reduce global warming emissions; and economic analysts advise that we can no longer afford the infrastructure necessary to underwrite continuing automobile supremacy in the context of a growing population. "As a result, more than half of fatal vehicle crashes occurred on these wide, high capacity and high-speed thoroughfares. Though dangerous, these arterials are all but unavoidable because they are the trunk lines carrying most local traffic and supporting nearly all the commercial activity essential to daily life. 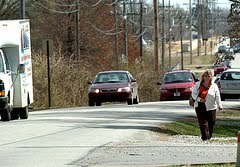 These roads have an enormous impact on residential neighborhoods, as well: For example, a recent AARP poll of adults 50 years and older found that 40% reported inadequate sidewalks in their neighborhoods and nearly half of respondents reported that they could not safely cross the main roads close to their home." This report, which ranks metro areas on the degree of risk presented to pedestrians, also analyzes state and regional spending of federal transportation dollars on pedestrian safety. It finds that many of the regions in greatest need of improvement are, unfortunately, spending the least amount on pedestrian safety projects. Nationwide, less than 1.5 percent of funds authorized under current federal transportation law have been allocated for projects to improve the safety of walking and bicycling, even though pedestrians comprise 11.8 percent of all traffic deaths and trips made on foot account for almost 9 percent of total trips. All but one or two (depending on how you count Louisville and Memphis) are sprawling Sun Belt locations. That's pretty much true for numbers eleven through twenty as well. The five safest, relatively speaking? Minneapolis, Boston, New York, Pittsburgh, and Seattle. The researchers based the rankings on an index that corrects for the fact that cities where more people walk on a daily basis are also likely to have a greater number of pedestrian fatalities, by computing the rate of pedestrian deaths relative to the amount of walking residents do on average. The report also highlights community actions that can work to lower the risk to pedestrians and cyclists, including street design, "complete streets," safe routes to school programs, and walkable neighborhoods. All of these should be promoted in the upcoming federal transportation reauthorization, say the authors, and I agree. Go here for the introduction and here to download the full report. Kaid Benfield writes (almost) daily about community, development, and the environment. For more posts, see his blog's home page. Switchboard is the staff blog of the Natural Resources Defense Council, the nation’s most effective environmental group. For more about our work, including in-depth policy documents, action alerts and ways you can contribute, visit NRDC.org. This is a skills course for youth up to age 13. To register for this course, email both a parent and child's full names, phone number and child's age to info@walkbikeberks.org. Note: We are able to provide some participants free helmets due to the generosity of AAA Reading-Berks. Limited sizes available to children who need a helmet. Note: ALL participants must wear a properly fitting helmet to participate in our education rides. Help us make your neighborhood better for walking and biking. Join us today. 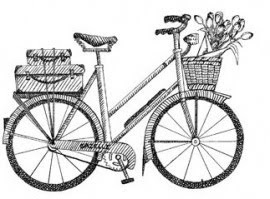 of National Bike Month …"
FRIDAY MAY 20 IS BIKE TO WORK DAY! I am home! A bit of sunburn and some tired legs -- I have completed 75 miles to our State Capitol on foot. I feel accomplished. But my steps to the Capitol weren't just for my own sense of pride -- I walked to the State Capitol so that others can walk in their own neighborhoods -- safe from the real threat of serious injury or death simply because they have to walk across or along a street to get from one place to another. Our Streets are Dangerous By Design -- and I know that we can do more to save more lives. Trails are transportation. There were many who I met along the way who were using the trails to commute to work or school. Rails-to-Trails are great pedestrian infrastructure -- scenic and safe; however, a seamless, connecting system would have made my 75 miles much easier. Trails cross streets and people in cars need to be provided signs or street markings to let them know that vulnerable pedestrians might be on the road. (See trail crossing in the picture to the left.) Too often -- when the trails I walked crossed streets -- there was absolutely nothing provided to let the motorists know that I might be crossing the street. Wide shoulders along rural roadways will save lives! Many bicyclists and walkers (including me) elect to travel roads that are less heavily traveled by cars and trucks because we feel safer "out of the way" of fast moving traffic. The problem I faced was, while walking along winding roads with rolling hills -- too often a car driver could not see me at all -- and I had absolutely nowhere to go to be out of the way of danger. The narrow roads drop off suddenly, with no space for a bicycle tire or person's foot to 'get off the road' -- and too often guide rails come right to the road's edge -- pinning me in front of a fast moving truck! It was scary out there! There seems to be confusion in the design of infrastructure between urban, suburban, and rural systems. When I crossed from rural to suburban landscapes -- the infrastructure was patchy at best. Too often, sidewalks (something I was always relieved to see on my walk) were not connected to wide shoulders, a trail link, or each other. So -- what I found instead were sidewalks to nowhere. I felt safe and comfortable walking on sidewalks -- and it seemed to me by the expressions on drivers' faces -- they too were happier to see me on "real" pedestrian infrastructure and out of their travel lane. However, too often, the sidewalks ended ubruptly, and I had no choice but to return to the dangerous side of a street designed for fast moving traffic. Now: What can we do about all of this? Really simple - and only a minute of your time today! TAKE ACTION NOW: Click Here! BRIDGES, SHOULDERS, ROAD SURFACE, ETC. Pennsylvania is the most beautiful place to walk in the world. We will do well to build eco-tourism in our state. I am already eager to do this again next year: let me know if you would like to join me! The annual PA Walks and Bikes Summit will be held next week on Wednesday May 4! If you have not yet registered, please do so now at this link. Please register ahead of time to ensure that we are prepared for you and, most importantly, that we have a lunch for you. •9:00 – Arrive at City Island in Harrisburg for the ride and walk to the Capitol. •9:30 – Ride and walk depart from City Island for the steps of the State Capitol. •10:00 – Rally on the steps of the State Capitol. •11:00 – 3:00 – Meetings with members of the General Assembly, as schedules permit, and literature drop. We will use Hearing Room 5 in the Keystone Building as our base location. •12:00 – Keynote address and advocacy discussion over lunch. Hearing Room 5 in the Keystone Building. Check out the PA Walks and Bikes website for even more policy statements! They will be releasing policy recommendations on the following: a fully funded bicycle and pedestrian office, distracted driving laws, and regulations impacting your community's ability to add bike lanes to state roads. If you are coming to the Summit, we encourage you to make appointments with your state senator and representative ahead of time to make the most of this opportunity. If you've never done this before, check out this link for step by step instructions to get an appointment with your elected officials or their staff. If you have any questions, contact Josh at pawalkbike@gmail.com or 717-856-2814 and he will help you out. See you next week! Special Thanks to John B. at the BCGP for this content! We envision an intermodal transportation system that enriches quality of life and strengthens the community by providing mobility for all, regardless of motor vehicle ownership, age or ability. Regional planning that includes bicycle and pedestrian transportation spurs community interaction while protecting the open spaces and unique characteristics of this area for future generations. Our positive partnerships with area government entities and other organizations perpetuate on‐going bicycle and pedestrian improvements through engineering, education, encouragement and enforcement programs. WalkBikeBerks is a 501(c)(3) Non-Profit Charitable Member Organization. Our success depends on the contributions of members -- every day people just like you. JOIN NOW to build Livable Streets in your neighborhood. Many employers sponsor matching gift programs and will match charitable contributions made by their employees. To find out if your company has a matching gift policy, please contact your human resources department today. If your company is eligible, request a matching gift form from your employer, and send it completed and signed with your gift. If you have already made a gift in the past it may still be eligible for a matching gift under your employer's policy. The impact of your gift to WalkBikeBerks may be doubled or possibly tripled! Some companies match gifts made by retirees and/or spouses. Join us at 7:00 p.m. EST for a live, interactive discussion.